Daphne Selfe, the woman dubbed “the world’s oldest supermodel” is proof that you’re never too old to model funky footwear. At the age of 86 she’s the poster girl for generations of women who won’t be willing to disappear into the shadows just because they reach a certain age. Alongside 22-year-old Flo Dron, Selfe shows off the collaboration between Vans and & Other Stories, wearing the revamped classic footwear with pieces from the online store’s SS2015 collection. 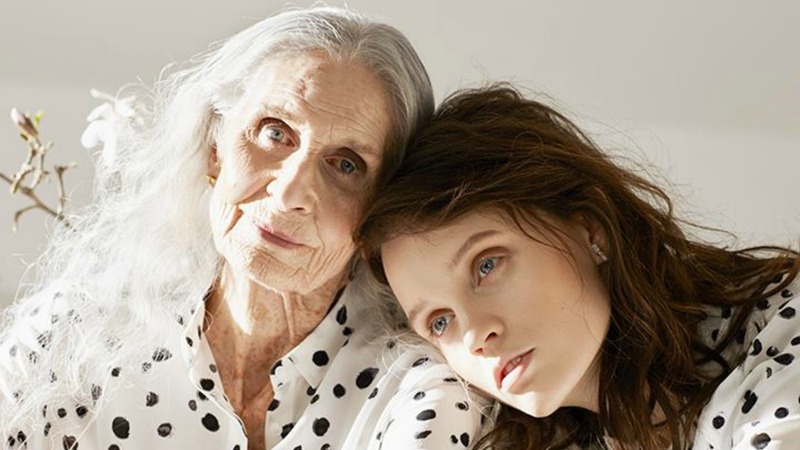 If you don’t already know Selfe’s story she started modelling in 1949 but, after getting married and having three children, gave up work to focus on her family. When she tried to get back into the industry in the 1960s she found herself rejected by agencies because she didn’t have the look of the time (think Twiggy or Jean Shrimpton). It wasn’t until 1988, at the age of 70, that Selfe finally got her big break. 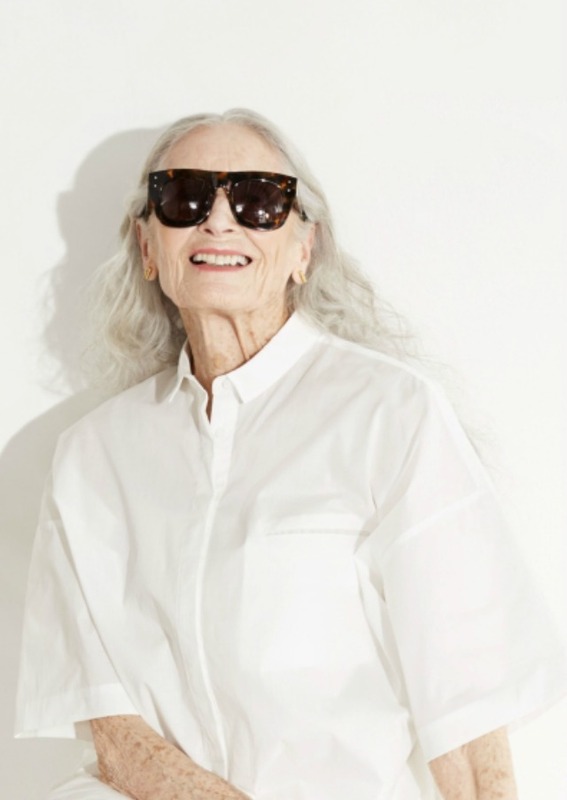 Quirky fashion label Red or Dead was looking for older models for its London Fashion Week show and discovered Selfe through the agent she had stayed registered with since her early days in the business. This lead to a Vogue shoot for an issue celebrating age, where she met a scout for Models 1, and the start of a lucrative career. Since then she’s been featured on the fashion pages of The Guardian, in Vanity Fair, Harper’s Bazaar and Dazed & Confused, appeared in Will Young’s 2002 video for “Light My Fire,” modelled for Nivea and TK Maxx and been photographed by Mario Testino, Rankin and Nick Knight. Last year she took part in the “Dare to Wear” campaign for Manchester’s Trafford Centre. There’s no doubt that Selfe doesn’t just look good for her age — she looks good, full stop. So what’s her secret? It seems simple: embracing natural beauty. More: Will Lorde Inc be the game-changing agency the fashion industry needs? Does Denmark have the answer to the skinny model debate?